Colombian president Alvaro Uribe, the conservative right-wing leader reelected in May, remains Washington’s closest ally in a region governed overwhelmingly by center-left administrations. Critics, however, assert that the 53- year-old attorney, educated at Oxford and Harvard,must now address his nation’s social issues if Colombians are to avoid taking the same path to the left as their Latin American neighbors. rate, Uribe won by a comfortable margin, garnering 62% of the votes, making him the first sitting president to be reelected in Colombian history. 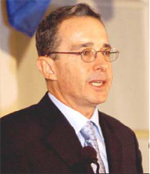 Carlos Gaviria, a former judge who was Uribe’s left-wing contender, gained only 22% of votes.Analysts regard the reelection as a vote of confidence in the president’s conservative economic policies and hard-line stance against Marxist rebels, right-wing paramilitary fighters and narcoterrorists. So far, Uribe’s policies have paid off. 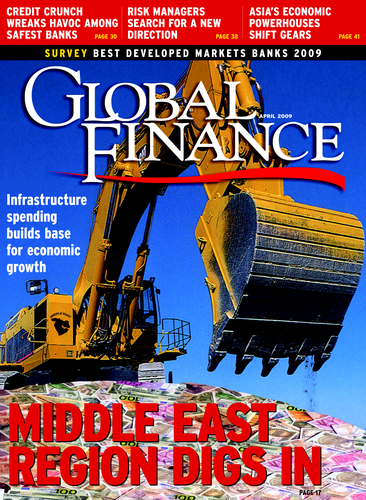 Since his first election in 2002, foreign investment has risen by 97%. Monthly inflation slowed to 0.33% in May, the lowest level since 1986, bringing annualized inflation to 2.71% (versus 3.51% during the first five months of 2005). In June the government revised its 2006 budget gap forecast to 1.5% of GDP from a previous 2% as a result of higher oil prices. Standard & Poor’s, just two notches below investment grade. Critics contend Uribe’s second term must focus on reducing poverty levels. If not, they charge, it won’t be long before Colombia steps to the left. Uribe and his supporters are not concerned. Uribe does not rule out the possibility of seeking a third term in 2010.